Watch any HGTV show and it won't be long before someone announces, "Let's take out that wall and open this up." 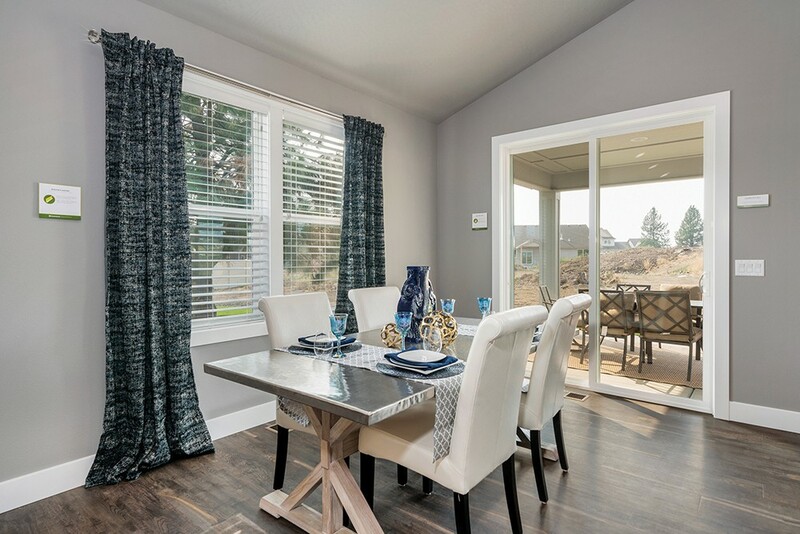 Indeed, open-concept floorplans offer things homeowners love: long vistas, options for spacious entertaining and unlimited togetherness for the whole gang. What they don't like, however, are panoramic vistas of the "messy kitchen." The solution? A behind-the-scenes area to accommodate all those blenders, coffee makers and mixers. Like a mini-kitchen, these zones, which appeared in numerous homes offered in regional shows this year, can incorporate shelving or cabinetry, countertops and even additional dishwashers and refrigerators. Stephanie Link, marketing director for Spokane's Greenstone Homes, describes a prototype the company is testing in its Kingston floorplan in Greenacres, featured in this year's Fall Festival of Homes: "It's double the size of the typical pantry and runs the full width of the kitchen. There are lots of plug-ins and a counter, and it's all hidden behind a door." The idea that form should serve function was foremost in designer Wendy O'Brien's mind as she developed the plan for her professional and people's choice award-winning entry featured in this year's recently concluded NW Natural Street of Dreams in Portland. "When you walk in the door, the home says, 'Come and sit for a while with family and friends,'" she notes. In the Portland home, O'Brien utilized another solution for the messy kitchen. "Walk-in pantries use a lot of square footage. I designed the kitchen with a vertical pullout pantry compartment and a bank of pullout shelves instead." Another trend in regional home shows is energy efficiency. Link says Greenstone featured its first "net zero" home in last year's home show. In fact, the company exceeded its goal, creating a house that actually produced more energy than it used. The response to the house, which was visited by more than a thousand people, was so positive that Link says, "Now we are offering starter solar panel packages that are expandable. Eight panels can get bills down to $20 instead of $200." Exterior styling trends lean toward the unfussy, but that can take a variety of forms, from a modern farmhouse to an angular, sleek midcentury modern revival. Home prices in this year's Spokane show range from $279,00 to $949,900, but the majority are in the $325,000 to $550,000 range, says Joel White, executive officer of the Spokane Home Builders Association. A new feature for this year's show is a Habitat for Humanity home recently completed in Deer Park that will be available for tours. While it is easy to be seduced, it's best not to fall in love with a home in this year's Festival; most of them have already been sold. "The market is extremely hot, and we just don't have a lot of inventory," says White. But he adds, "You could build a similar house in our community on a different lot." Visit any or all of five host sites at the Spokane Home Builders' Fall Festival of Homes, which concludes Oct. 5-7, from 10 am-5 pm daily. Free. Visit spokanefestivalofhomes.com for details. 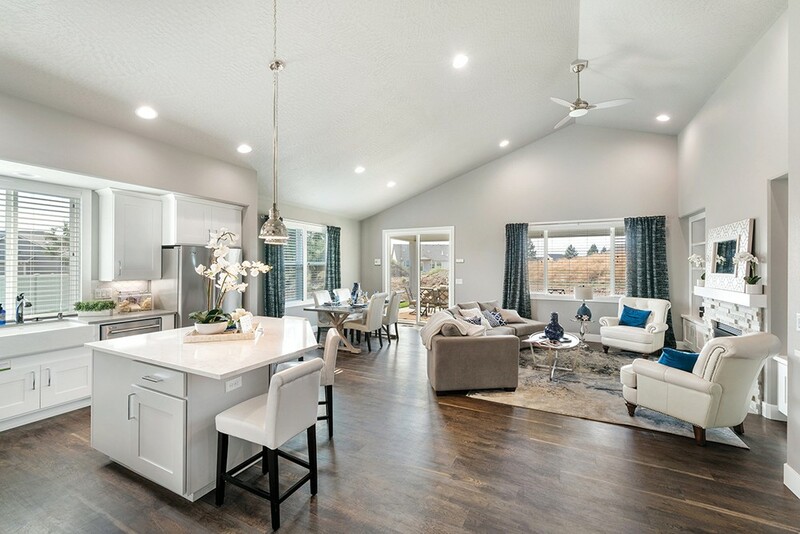 The open concept floor plan featured in this Greenstone house in the Fall Festival of Homes has a walk-in pantry to banish the "messy kitchen." "Wall and ceiling treatments are a great way to spice up any space," says Portland designer Wendy O'Brien, who used peel-and-stick mosaic wood panels to add interest and warmth in her Portland show home's dining room. "Play with direction — vertical, horizontal, diagonal. If cost is an issue, install on one section of a wall or build a framework with trim and install the treatment inside the frame to reduce the amount of material needed." Light fixtures are an easy upgrade to an existing home. 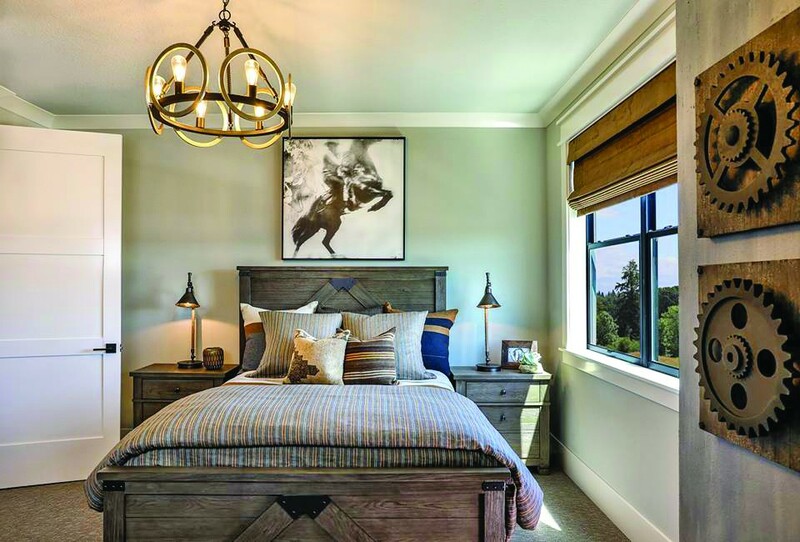 "Lighting can be the focal point of a room and make a bold statement," says O'Brien, who incorporated finishes ranging from a dark bronze in public areas to a soft silver-leaf fixture in the master bedroom to a hammered chrome industrial fixture in the laundry room. "Play with scale. Most rooms can handle larger fixtures than most people think." "Wood flooring is still the most expensive and probably perceived as the most luxurious," says Link. However, there are other options that offer the look of wood, without the hassle. "There are some great benefits to the luxury vinyl plank," says Link. Unlike wood, when exposed to water, "It won't bubble up and get damaged, and it can be laid in different patterns. We experimented with gray plank set in a herringbone pattern, and it was just stunning. Kind of like an art feature." If the floor does get damaged, 'It is so easy to replace just one plank." Concerned the garage door might have been left open? 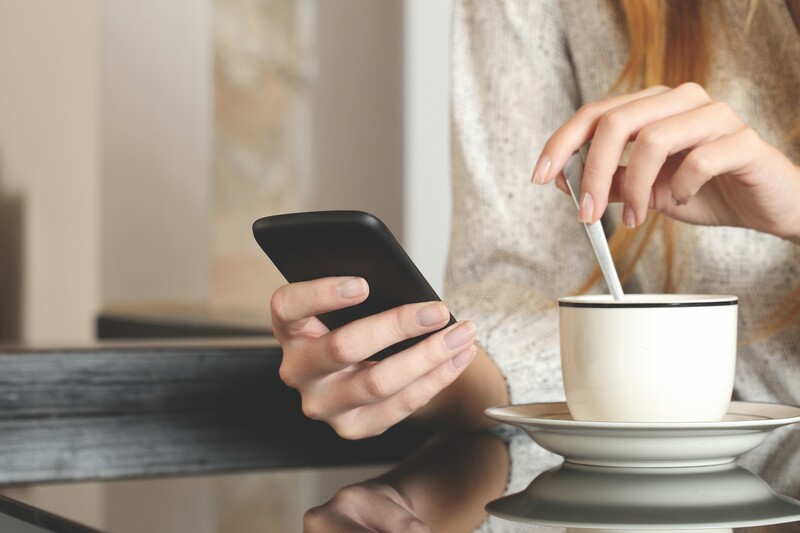 Stephanie Link of Greenstone in Spokane says they are offering a smart technology package that allows homeowners to remotely monitor garage doors, including opening and closing them, as well as the ability to tweak thermostats to adjust heating and cooling from afar. "I really had fun curating, printing and framing a collection of vintage photos," says O'Brien. "The wreaths, I hand made. Adorning the home symbolizes the way we connect to each other and ourselves. That is the real heart of the home."